An example of using supply chain analytics for inventory optimisation and reduction of transportation costs in retail. An in-depth case study sheet is also available for download here. This international retailer was struggling with high levels of inventory in stores and central depots, but in the wrong mix for the rate of sales. Its inability to coordinate the flow of goods from long lead time suppliers to stores was causing repeated air-freighting to cover shortages. Yet working capital was above target. The SupplyVue analytics tool was used to capture transactional demand and inventory data. SupplyVue was able to analyse the demand profiles of the product portfolio, identifying base demand and promotional demand separately. Additionall y, SupplyVue analysed the supply chain performance, processes and parameters settings by segment to investigate the root cause of the air-freight requirement. Analysis confirmed that the need for air-freight was due to the inventory management approach for the basic items. The retailer pushed inventory forward into the stores without formal inventory planning at the regional warehouse. There was enough inventory in the network in total but it was not in the right location. Using SupplyVue the team segmented the demand between basic and promotional products. Using a modelled forecast accuracy generated by the statistical algorithm form basic items, SupplyVue calculated the required inventory policies at the central warehouse and recalculated the corresponding inventory levels at store (based on a Kanban pull mechanism from the central inventory). 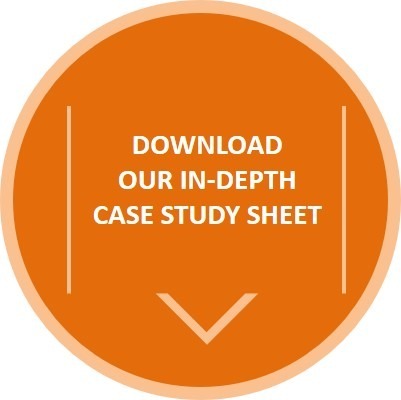 For more information on how SupplyVue was applied to inventory optimisation and reduction of transportation costs, download our detailed Case Study Sheet here. Learn more about our supply chain analytics here.